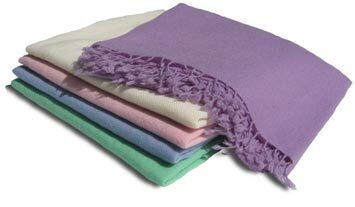 Purchase our 100% cashmere throw and 100% cashmere baby blanket in a matching set. A wonderfully extravagant gift or for yourself! Buy both and save. 52” x 81”, and are 1-ply with 2" hand-rolled fringes as the shawl.